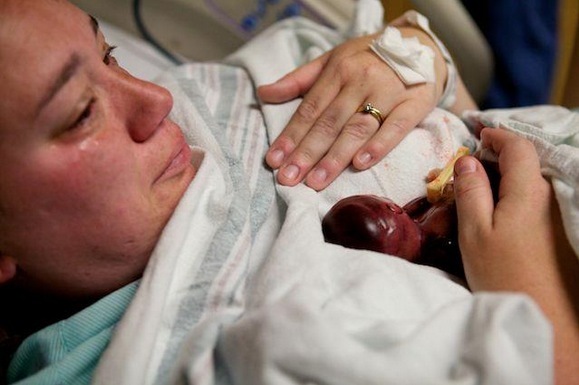 They Were Expecting A Baby, But When He Was 'Born' This Baby Broke My Heart In Two! A child is a father’s pride and mother’s cynosure of eyes. A child is rightly called the bundle of joy .To be parents is an emotional and wonderful moment for anybody. And so was it for Lexi Fretz and her husband, but their joy was too early ripped and taken away from them. Like any would be mother and father, the excitement of Lexi and her husband knew no bounds when they came to know about their second child but little did they expected that their happiness is not going to last long. Lexi and her husband had decided to name their unborn child Joshua and they called him by this name when he was born in the 19th week of pregnancy. Little Joshua didn’t survive to see the light of the day but for whatever time he came to this world, he brought divine light with him. After nurturing the child in her womb for 19 weeks, and knitting the dreams for their, would be child Lexi’s expectations were all dashed to the ground. She began experiencing heavy pain and bleeding on the 19th week of her pregnancy and thereafter she was taken to hospital where she delivered little Joshua. Being a premature baby, untimely ripped from the womb they knew about the forthcoming tragedy, they knew that their child won’t survive long. A child born so early, in the 19th week of pregnancy itself, has a nonexistent chance of survival .For few moments after the birth, the child was breathing and his heartbeat could be felt. Beating all odds, he survived but just for few minutes. For whatever time little Joshua was with his parents in this world he was showered with all the love and blessings. His elder sister too got a chance to see him and experience the joy of being an elder sister. For whatever time he was with the family, he gave them divine experience. Lexi Fretz and her husband were heartbroken on seeing their child. It was an emotional and saddening moment for them to take their baby in their hand only to realise that they can’t play with him, can’t see him grow, can’t enjoy a blissful parenthood with him. 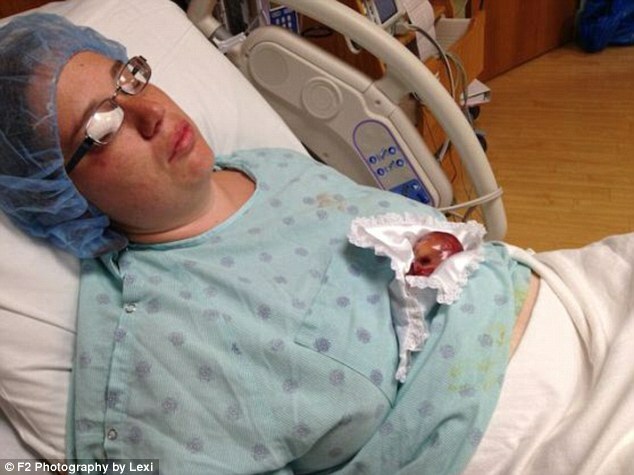 A child takes 42 weeks of time to grow completely inside the womb of the mother but little Joshua was born only after 19 weeks. A little more than 3 months and hence had a virtually nonexistent chance of survival. Seeing their child still before them Lexi and her husband were emotionally drained and melancholic. They are grateful for whatever little seconds they got with him and grateful that they saw their premature baby. No parent would ever want to see their child in this state. Lexi and her husband’s worst nightmare had come true and they were helpless. Little Joshua’s memory is going to be with Lexi and her husband forever and he will always be their 2nd child irrespective of whether he survived or not.